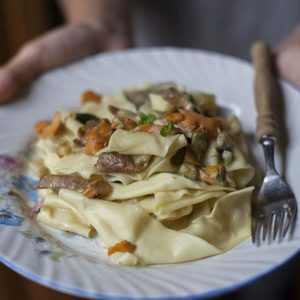 It’s crept up on us so quickly – one year of Italian Table Talk, the blog posts that once a month create a flurry of emails deciding themes, topics, recipes, often starting with, What are you making? and resulting in dishes and their stories as told by four girls with different perspectives but the same passion for sharing experiences, the traditions, the rituals of real Italian cuisine. It all started with bread, as I like to think any Italian meal does. 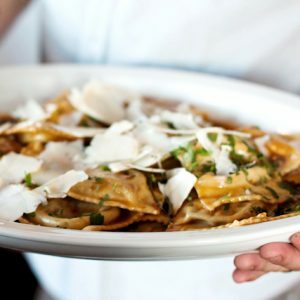 And then it just flowed naturally on to various topics that permeate Italian culture like the aroma of someone cooking your favourite dish wafting through the house. 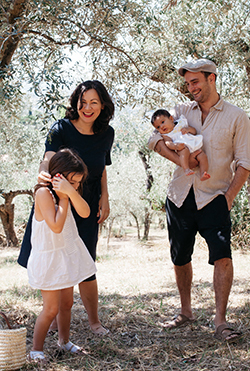 We discussed street food, summer preserves, the wine harvest, the olive harvest, spring foraging, salumi, breakfast and those essential Italian holidays like Ognissanti, Christmas, Carnival and Easter. And here we are, exactly a year on from that first, experimental post about bread and what could be more appropriate than the theme of celebration? Whether it’s an anniversary, a holiday or simply a family get together (excuse enough to celebrate), there is one thing that is ubiquitous on my Tuscan in laws’ family table: tiramisu. As essential as tiramisu is, it’s something I realise I’ve avoided talking about on my blog (well, almost, here I disguised it as a pavlova and here I almost made a strawberry tiramisu but was too busy licking the bowl of the mascarpone cream). Perhaps because it’s not exactly Tuscan (though believe me, no Tuscan is going to complain about that, perhaps because it’s a given. Done over and over again. Seen everywhere. Or because there are only so many tiramisu recipes one can have – and if you ask me, there is really only one way to make tiramisu. Yes, this is one of those recipes. This is the same tiramisu recipe that I have been making since I was sixteen. It was given to me by a neighbour from Mauritius when I was living in Beijing. Hardly authentic, you might be thinking. But believe me. It is. It’s so authentic, my Tuscan mother in law has asked me for the recipe. I’m not sure where my neighbour got her recipe but she did live in Rome before moving to China so there’s probably another story there, tracing back the origin of this recipe before it travelled the world. That is the thing about tiramisu – it’s international appeal. 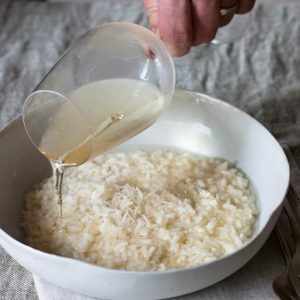 It is a recipe that has successfully been transported not only all across the peninsula but all across the globe, that is seemingly loved by all palates and cultures and has been adopted into restaurants and homes worldwide. And all this for a dish that is only fifty years old. Sure, it’s been called a variant of the zuppa inglese (literally, “English soup”), that trifle-like dessert tinted pink in Alchermes, so popular in the nineteenth century. But the dessert that we know as tiramisu – layers of savoiardi (also known as lady finger) biscuits, dipped in coffee or rum or both, covered with a thick mascarpone cream and topped with cocoa – was born a Venetian dessert, in Treviso, circa 1960. Even then there were already elements that you could say contributed to its cross-regional (and continental) success. The biscuits, savoiardi, come from a region that historically was a part of France but today are largely produced in the Veneto, Verona to be exact. Mascarpone, vital to the rich creaminess of the dish, is a typical fresh cheese from the region of Lombardy. Yet stories also abound of the dessert’s origins coming from Siena and Torino. An older, traditional dish, would never have this regional mix of ingredients but strictly those of local production. It’s a very simple recipe that requires very little effort and only the patience of allowing some time between assembling it and eating it for that perfect moment that allows the mingling of flavours and the softening of biscuits. Perfect, really, for a busy cook preparing for a celebration as this can be made the night before. The original versions did not include alcohol as this was also a favourite children’s dessert (obviously nobody thought twice about the caffeine hit but it is the lesser of two evils in this case) and, despite the stick-form of the biscuits (and how they annoyingly never snap where you want them to), tiramisu was round rather than rectangular. Who knows, perhaps it was the only tin the inventor of tiramisu had? Perhaps it’s because in many ways it is a distant, modern cousin of the trifle and the round form was an obvious step. In any case, in honour of those very first tiramisu, unknowing of the fame they would achieve worldwide, and inspired by this photo I found on pinterest, I’ve made this one round too. But at home, in Tuscany, a glass, rectangular pyrex dish would do just fine. To make the mascarpone cream, separate the yolks and the whites into two medium to large sized bowls. Whip the yolks with the sugar until you have a dense, creamy and pale mixture. Add the mascarpone until combined. Whisk the egg whites (make sure you use a very clean bowl, glass or metal is best, and very clean beaters to quickly get beautifully stiff whites) until you have stiff peaks that hold their shape even when you turn the bowl upside down. Fold the whites into the mascarpone mixture. Set aside, and if not using straight away, store covered in the fridge. 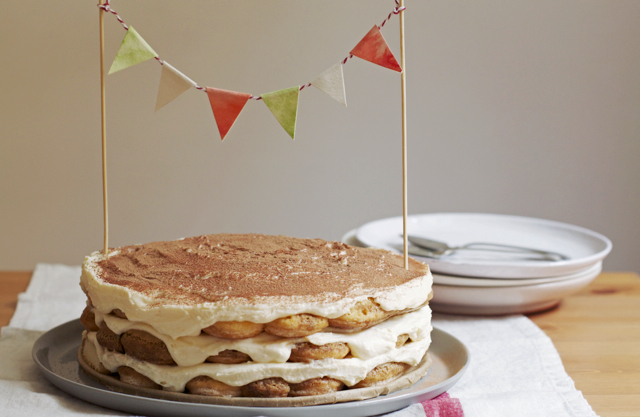 If making a round, cake-like tiramisu, line the edge of a spring form pan with baking paper. No need to do anything if using a glass dish. Make a fresh pot of strong, black coffee and pour into a wide bowl. Dip one side quickly and one side only of a lady finger biscuit into the coffee and layer, coffee side up in your prepared tin. Repeat with more biscuits until you have a nice, tight layer that covers the base of the tin. Failure to do exactly this will result in disappointingly soggy tiramisu. No one likes soggy tiramisu. Cover the lady fingers with a thick layer of mascarpone cream, about 1cm thick. Repeat layering with lady fingers then cream again, finishing with a thick layer of cream. Leave in the fridge overnight (or for at least four hours if you are in a hurry but this really benefits a longer wait), covered with some plastic wrap. Dust with plenty of bitter cocoa, then cut, serve and enjoy. Back to a few thoughts on Italian Table Talk’s one year birthday. It’s only taken us a year to finally create a Facebook page for Italian Table Talk, where our readers can share their thoughts, ideas and even recipes – if you’ve enjoyed this series of ours as much as we have writing and planning it, please do stop by to “like” us and say hello! And because this is our one year anniversary and the whole idea behind creating Italian Table Talk was to share, discuss and connect, allow me tell you a little bit about the other three bloggers, who you may already know by now. 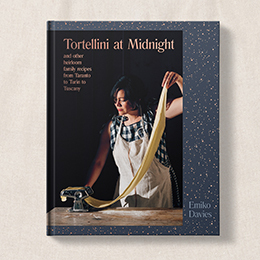 You have probably already heard me mention Giulia Scarpaleggia, author of Juls’ Kitchen, in the early days with the tiramilova (that would be a tiramisu inside a pavlova) or fava bean crostini, or more recently with her pappa al pomodoro, a favourite recipe from her beautiful cookbook, I Love Toscana. We “met” over social media a couple of years ago, as such is the way these days, but when I accepted her invitation to meet up in person for dinner in Florence, with many other dinners and catch ups to follow, I never expected to make such a warm, wonderful friend. With so much in common (not the least being our Tuscan-driven food blogs) we clicked and immediately started a never-ending list of things, projects and food to make together. The only thing that was ever in our way was geography (admittedly, the distance between Florence and her gorgeous home in the Tuscan countryside near Colle Val d’Elsa is a lot shorter than the distance we have between us now! ), but we still chat and plan and add to that list as if we live around the corner from each other. Check out Giulia’s celebratory recipe for latte alla portoghese, a sort of creme caramel. Meanwhile, I met Valeria Necchio, photographer and blogger behind My Life Love Food at a workshop in Tuscany a couple of years ago and as we followed each others’ blogs and social media I kept finding that despite the years between us (can you believe this girl is only 25?!) and also that geographical problem, we are two peas in a pod. She appreciates and loves simple, good food; her dream home is exactly what my dream home looks like; she also needs a substantial breakfast to get her through the day; as an expat she understands exactly what conflict my heart is going through and as a Venetian knows about the problems with living in a place that is everyone else’s fairytale. Her blog is one of those few that I read religiously because every word resonates with me (and her pinboards are also the best food photography reference ever, how organised is this girl?). Here’s how Valeria celebrates Italian Table Talk’s first birthday: with a spritz. So Venetian. I also met Jasmine Guetta, half of the duo behind Milan-based blog, Labna, at the same workshop as Valeria and similarly got to know her better afterwards, and in particular when we began Italian Table Talk. Another incredibly young and talented blogger, I’ve always been intrigued by her take on traditional Jewish recipes, something that is unique amongst so many food blogs out there, and admired her careful, precise photography. For her celebration, Jasmine shares her recipe for tuna pate, a nostalgic classic. A beautiful Tiramisù! That is one of my all-time favorite desserts. Thanks Rosa, such a classic for a good reason! The presentation is beautiful, but it looks pretty dry? The ladyfingers (savoiardi) are supposed to be soaked completely! Otherwise it is no fun to eat at all. One of my pet peeves is a soggy tiramisu, can’t stand it! So over the many years that I’ve been making these, I have my savoiardi dipping technique down pat (as in the instructions above) – one quick dip, just one side only! This is how I think it comes out best, how I personally prefer eating tiramisu. Once you leave the tiramisu overnight (always better overnight if you ask me), the moisture from the mascarpone cream and the hint of coffee from the dipping turn the savoiardi into the most perfectly soft cake – no hint of sogginess and never dry. Now this is my favourite kind of tiramisu! 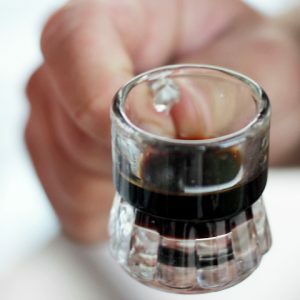 I’ll have to try this recipe since I agree with you on the soggy tiramisu subject; tiramisu should pick you up, not drown you in alcohol and espresso! I really enjoyed every single post of the Italian Table Talks, it has been very interesting! 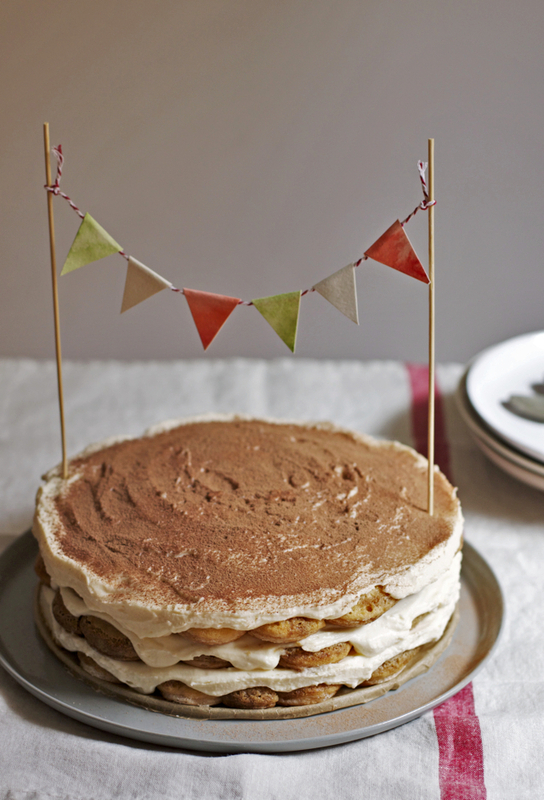 Your Tiramisu looks delicious and very pretty with the bunting! Here’s to another year of interesting posts, congrats to all the ladies! I love the look of this round, mold-less version of tiramisù. So very pretty! Thanks, Frank, I’ve always grappled with making a tiramisu look pretty enough to be photographed but was inspired this time to make a good go of it! I was so so curious to read about the origins of tiramisu. As you said, it is something so loved and well known that you feel it like ‘your’ dessert, even if it has nothing to do with a Tuscan tradition. I am for the cream cream cream version – like a 3:1 ratio to savoiardi! – but I side with the not too soggy savoiardi version. Funnily enough, I’ve written about the same behind-the-scenes-activity.. I really enjoy this chitty chatty about recipes and traditions, it’s what makes everything even more interesting! So happy to share also this project with you, along wit our never ending list of activities! I know what you mean – lots of mascarpone cream is always good. My mother in law makes it with ricotta (or half ricotta, half mascarpone) to make it a bit “lighter” but either way, creaminess is vital! I’d love to make this for you and share a slice or two and compare notes – add it to the list! Tiramisu is the only home-made celebratory food I could think of. My mum has always thought to be a tiramisu master and would make it for us as birthday cake as that was her (only?) strong suit as far as desserts go. She wouldn’t make the round version, which now I learn being the originial one, but the rectangular one, using a huge glass pirex mould. 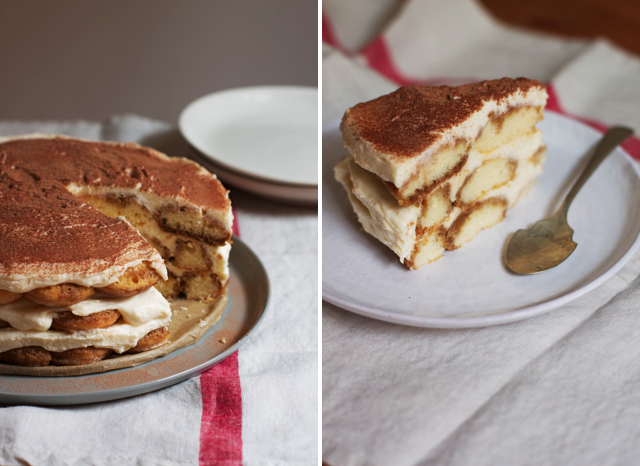 I have always liked my tiramisu soft, with a lot a lot a lot of cream – same ration as Giulia But I have never liked soggy savoiardi either, and that was the biggest complaint I was moving to my mum: her tiramisu had too much of a coffee flavour and the cookies were too mushy. So she started to correct her recipe and to dip only one side. Result: a more balanced flavour and better structure. Not sure where the lady who gave you the recipe got hers, but it seems she had nailed all the most important principles for the pefect tiramisu! I loved reading your notes btw, I blushed when I read about myself. Thank you! It has been so great to discover a bit at a time, through bits of sentences and thoughts posted here and there, how much we share and have in common. I am loving this project and I am looking forward to the year to come: it wouldn’t be the same without the email exchanges and the collective brainstorming. It also pushes me forward in so many ways –like, having to meet a deadline, I am so bad at it and ITT is such a good motivator. To one year and many more to come! I just found your blog through your guest post at Zita’s blog. Your tiramisu sounds so simple and delicious. It reminds me of a similar one I had at my brother’s wedding in Tuscany. Wonderful. Thanks, glad that Zita has “introduced” us! This is indeed a very simple recipe, much simpler than many think! my favorite dessert ever!! this is my first time visiting your blog. i like it. i like the pictures, and the recipes, i like everything that has to do with Italy, specially the food part. Grazie mille! It’s a favourite of mine too. Hope you visit again soon. I just happened across your blog for the first time. Thanks for all the authentic italian recipes…written in English! It’s a beautiful blog! Hi Elena, I used a 26cm/10 inch pan for this size. I was wondering how you layer the savoiardi in the springform pan? It’s easy to fit stick-shapes into rectangular/square pans but I am having some difficulty picturing how it can be done so prettily as you’ve done here? Thanks! !